I saw the pattern for the Diamond Cards on this website, but once I had folded my card I decided I would rather decorate the 'reverse' of the card rather than the side that Christina had decorated. 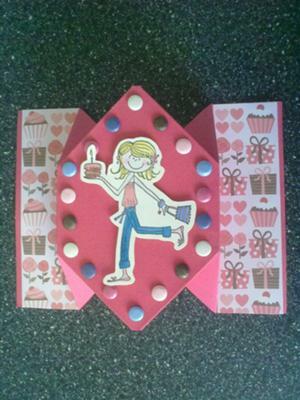 I used stamped images and various embellishments to decorate my cards. 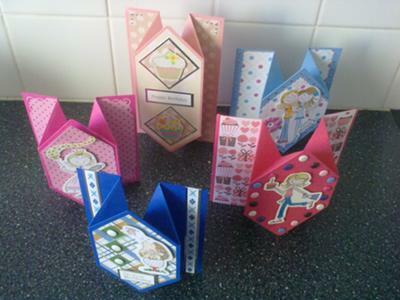 The Diamond Fold Card is so easy to do and can be used either way round and look just as effective. 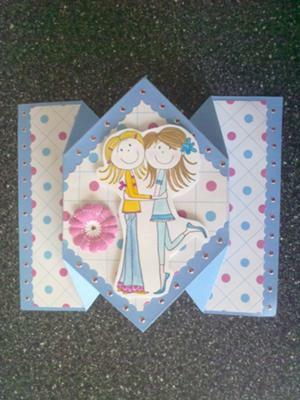 It is the decoration that is added that can make the cards something really special, and these are really pretty cards. The instructions for this card and the Diamond Top Card, as well as lots more folds for you to try, can be found in the More Projects section in the NavBar. I also prefer the reverse side. Your cards are lovely.